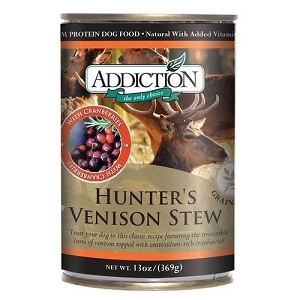 Not only will your dog find it hard to resist the exquisite taste of Wild Kangaroo, this health-giving protein is prized as a lean, high quality game meat. For decades, Australians have been feeding their pets Wild Kangaroo to benefit from its unique nutritional properties and rich flavor. Free from artificial hormones and steroids, Wild Kangaroo has gained popularity in providing pets a tender red meat diet rich in omega fatty acids. Apples are packed with natural antioxidants such as flavonoids and polyphenols that combat free radicals and support a strong immune system. These protective properties promote optimal health and overall healthy skin and coat. SAVE THE ENVIRONMENT. FEED ADDICTION. 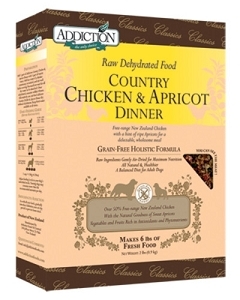 Addiction believes in creating responsible foods that are both great for your pets as well as the environment and is the only pet food company to participate actively in the eco-sustainability movement. Our pet food sources are from New Zealand, Australia, USA and Canada and are carefully chosen to ensure that our products adhere to our eco-friendly philosohpy. Visit www.addictionfoods.com/earth for more information. 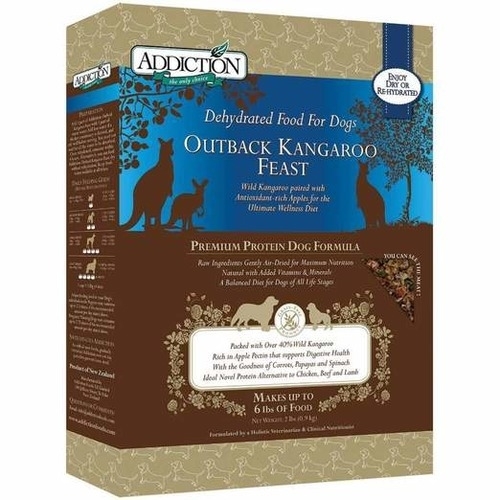 Addiction'S outback Kangaroo Feast is free from grains and has been designed to be as close to what nature has intended for your dog. 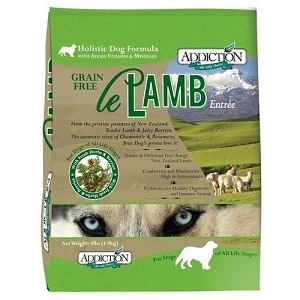 It is also a natural and holistic solution for dogs sensitive to beef, chicken or lamb or grain. Kangaroo, Potatoes, Carrots, Papayas, Canola Oil, Apples, Sunflower Seeds, Tapioca, Spinach, Choline Chloride, Sodium Chloride, Dicalcium Phosphate, Taurine, Vitamin A Supplement, Vitamin D Supplement, Vitamin E Supplement, Thiamine Hydrochloride, Riboflavin Supplement, Pyridoxine Hydrochloride, Vitamin B12 Supplement, Folic Acid, d-Pantothenic Acid, Biotin, Niacin Supplement, Copper Sulphate, Ferrous Sulphate, Potassium Iodate, Manganese Sulphate, Sodium Selenite, Zinc Sulphate, Calcium Carbonate, Natural Tocopherols, Lecithin, and Rosemary Extract.